On December 3, members of a Muslim funeral procession became incensed after a FedEx truck driver accidentally backed into a mourner on a crowded Brooklyn street. An angry mob surrounded the vehicle, smashed out the truck's windows and assaulted the couriers. One of the mourners was arrested, and the truck drivers were hauled off to jail for defending themselves with fire extinguishers and box cutters. Unfortunately, residents of Brooklyn's Bay Ridge and Sunset Park neighborhoods may have to get used to such scenes after the New York Post reported a "new security group" cruising local streets in a white Ford Taurus painted with stripes and insignia nearly identical to local police. 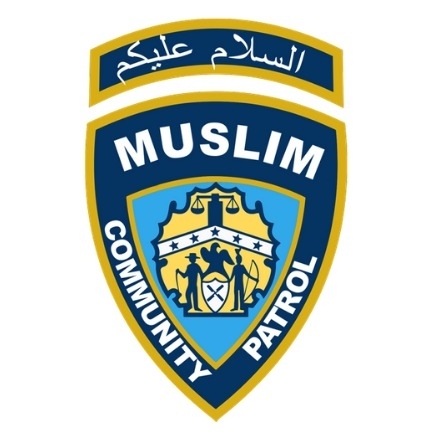 But the recently incorporated Muslim Community Patrol & Services (MCPS) isn't a new concept, nor is it some benign neighborhood watch merely established, as it claims, "to protect members of the local community from escalating quality-of-life nuisance crimes." "This is basically a neighborhood community patrol on steroids, and people are intimidated," MCPS's own Vice President Noor Rabah boasted in an interview with Bklyner. Formerly known as the Muslim Civilian Observation Patrol & Services (MCOPS, or Muslim COPS), MCPS has been patrolling Brooklyn's streets since September 2016 and leaving behind traces of the Islamist agenda which guides its growing membership. The security group sparked outrage on social media over fears that its members might behave like Muslim patrols in Minnesota and London by imposing religious standards and enforcing "no-go zones." But the controversial fact-checking website Snopes deemed allegations that MCPS was enacting Sharia law as "false," and a New York Times report concluded that much of the backlash was driven by "far-right conspiracy theories." The Times also noted that the Muslim patrol is "believed to be the first of its kind in the country." However, MCPS isn't even the first of its kind in Brooklyn. Led by the radical Imam Siraj Wahhaj, a small force of devout Muslims helped eradicate the crack epidemic plaguing Brooklyn in the 1980s. But the borough's first experiment with an Islamic neighborhood watch ended in shame for Wahhaj and three others arrested in 1987 for illegally possessing firearms while on patrol. Brooklyn has progressed since those perilous days, however, and residents now enjoy the lowest crime rate in decades. Although hate crimes are on the rise across the country and in NYC, NYPD statistics indicate that anti-Muslim attacks are declining and account for less than 5 percent of the city's total hate crime offenses in 2018. But that relative safety hasn't kept MCPS members from attempting to emulate their predecessors. A now-deleted flier advertising an Oct. 12, 2016 MCOPS meeting notes that the group discussed "Applying for Handguns & Shotguns." The prospect of an armed sectarian patrol is even more concerning when MCPS's close relationship with a controversial Islamic charity is explored. Khashif Hussain, an MCPS leader and NYPD Auxiliary Sergeant, co-founded Muslims Giving Back (MGB), an Islamist nonprofit infiltrated in 2012 by undercover NYPD informants in a multi-year terrorism probe. NYPD court documents filed in the Brooklyn Federal Court allege that MGB co-founder Asad "Ace" Dandia organized a trip to Pakistan in 2011 to join an extremist group, sympathized with Al Qaeda, spoke highly of the late Al Qaeda commander Anwar al-Awlaki, and promoted violence against Shiite Muslims. Dandia planned the 2011 trip with "close associate" Justin Kaliebe, who was arrested in February 2013 after attempting to join Al Qaeda factions in Yemen. MCPS Vice President Noor Rabah also provides charity burial services for MGB through Janazah Project. Both organizations operate out of the Muslim Community Center in Brooklyn's Sunset Park. As part of its charity work, MGB regularly practices Dawah, an Arabic word which usually means "issuing a summons" or "making an invitation" to Islam. While most Muslims simply think of Dawah as an opportunity to promote a pious lifestyle and spread the faith through good deeds, groups like MGB and MCPS depart from this traditional form of missionary work and use humanitarian action as a tool for radical Islamization in both Muslim and non-Muslim communities. Rabah describes MCPS's mission as "Dawah through action," a slogan borrowed from MGB and the modus operandi of lawful Islamist groups such as the Muslim Brotherhood. MCPS derives its legitimacy from subverting social and political institutions and taking ownership of civic responsibilities where the city lacks the resources or social capital to respond adequately. By policing Muslim neighborhoods that distrust the NYPD, and feeding the homeless where the city is accused of neglect, MCPS leaders hope to win over adherents — both Muslims and non-Muslims — to their extreme version of Islam. "Once the community feels that they can reach you and they actually trust you and now they start to like you — now they might listen to some Dawah a little here and there. It's very beneficial, Insha'Allah [God willing]," Rabah told recruits in a recently deleted video capturing an Oct. 2016 MCOPS meeting. Palestinian clothing designer Jay Mazini was also invited to speak at the MCPS gala. Mazini enjoys promoting a notorious anti-Semitic conspiracy theory, arguing on Twitter that "the reason for 9/11" was to give the Jewish Rothschilds family "a reason to enter Iraq" and "seize their central bank." According to the social media star, "ISIS, Al-Qaeda & Taliban was formed after the government left their weapons In Afghanistan, Iraq & other countries & trained citizens to kill each other." Other evidence exists suggesting that MCPS promotes a hardline version of Islam. Besides acting as "a deterrent to neighborhood crime," the organization also offers counseling for "family problems," "marital discord," and "domestic violence," the same family law areas which frequently fall under the jurisdiction of Western Sharia courts. Rabah's Facebook page also provides some informative insights into the Islamic orthodoxy in store for Brooklyn's cultural mosaic. On June 19, Rabah published a letter sent to the New York's State Liquor Authority, asking its chairman to deny a local business its liquor license and encouraging others to use his letter as a template to shut down the "Shaytanic club." In January 2018, Rabah published an Islamic parable, implying that a 2.5 magnitude earthquake affecting Medina, Saudi Arabia was punishment for residents consuming alcohol, fornicating, and listening to music. On Oct. 27, following the Jewish Tree of Life massacre in Pittsburgh, the MCPS vice president wrote: "While everyone is mourning the Terrorist attack that happened today in Pennsylvania, I continue to mourn the terrorist attacks that happen every day on Muslims in Palestine and the entire Muslim world." Rabah's lack of sympathy for the victims of an anti-Semitic massacre is unsurprising given his association with MGB, which sold "Martyrs Never Die" and "Gaza Strong" wristbands out of MCPS's base of operations. All proceeds benefited Islamic Relief Gaza, a branch of the global charity under investigation in the U.S. and UK, and banned in Israel and the United Arab Emirates because of its reported terrorism ties. Islamic Relief's Gaza branch, in particular, has worked closely with front groups for the designated terrorist organization Hamas. Ayaz Ali, the charity's Gaza coordinator, was arrested by Israeli police in 2006 after evidence was found tying him to Hamas militants in Jordan; and several staff members have been exposed fetishizing anti-Semitic violence on social media. Somia Elrowmeim, an adult education and women's empowerment manager at the Bay Ridge-based Arab American Association of New York, joins other local Muslims who fear that MCPS could tarnish the reputation of Brooklyn's moderate Islamic community. She had a message for the faith-based patrol: "We don't want you near our neighborhood." Given the group's latent anti-Semitism, its ties to an embattled Islamist charity, and its secondary mission to impose hardline ideology on Brooklyn's Muslim and non-Muslim residents, the community's adverse reaction to MCPS is warranted, despite the dismissive claims of some media outlets. Unfortunately for the residents of Bay Ridge and Sunset Park, MCPS is just getting started. Benjamin Baird is a fellow of Islamist Watch, a project of the Middle East Forum.